VICTORIA - A Scrooge-like policy at some Vancouver Island seniors' care homes could mean elderly residents won't have Christmas dinner with their families, says Opposition New Democrat Leader John Horgan. 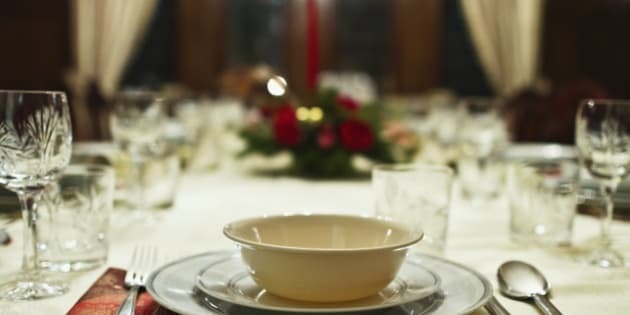 Limits are being set on the number of dinner guests permitted at the care facilities, which could mean some residents eat alone during the festive season, he said. Horgan blamed Health Minister Terry Lake, saying "Charles Dickens would be proud of the minister to have no understanding of what celebrations and family dinners are all about." Horgan said an Island Health letter stated a facility of 80 residents will only permit 12 guests for Christmas dinner, effectively turning the event into a lottery. Island Health's letter stated families are encouraged to attend other holiday events at the facility because noise, space and staff levels limit the numbers of guests. "We would like to encourage family members to attend the Christmas Tea or to pick a date during the festive season to enjoy a meal with their loved one other than Christmas or New Year's Day," stated the letter. "This will assist in managing the noise, space and staffing levels." Lake said families should be together at Christmas. He said he will look into the issue. "Obviously, no one would support restricting the ability of family to visit their aging parents or grandparents at Christmastime," Lake said. Island Health's residential care spokesman Tim Orr said seniors facilities, like family homes, have capacity limitations, and there needs to be some control over numbers of people visiting at one time. "We encourage family members in all Island Health facilities to come in and visit regularly over the Christmas season," he said. "I would love to see family members come in and share more than one meal with their loved one."